Autism in Paradise: Autism and Nitrous Oxide—Just Say NO? 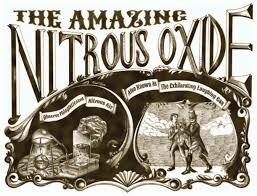 First isolated in 1772, Nitrous Oxide was in use in dental practices by the mid 1800s. Awhile back Ryan was pressing his cheek into his arm, my arm, my face, anything he could find. I was concerned that he was seeking pressure to alleviate pain from a cavity or worse, so began searching for a pediatric dentist who sees special needs kids. I located a practice in my town and was able to make an emergency appointment. I went to the practice’s website to check their protocols for dealing with kids like my son—language impaired and minimally-verbal and homozygous for an MTHFR polymorphism (see my blog at http://www.autisminparadise.com/2014/07/mthfr-and-autism.html for more info on MTHFR). Listed in their behavior management tab was the routine use of Nitrous Oxide (NO—an abbreviation; chemical formula N2O), although N2O should be considered an emphatic “NO” for kids on the spectrum). Because I know of two parents whose children developed autism post-anesthesia, I’ve done some reading on the subject and have found copious amounts of research that demonstrate some forms of anesthesia are contraindicated for autistic kids—or anyone with MTHFR polymorphisms. Unlike a pathogenic mutation (one known to cause disease), a polymorphism is a variant within a gene that does not necessarily affect its function. In research articles, I've seen MTHFR polymorphisms affecting anywhere from 12% - 70% of the study population, depending on geography and ethnicity, so clearly MTHFR is not rare and the possibility of its presence in an autistic child--or anyone--should not come as a surprise. It concerned me that a dental practice specializing in treating children with autism didn’t take the time to learn about potential serious adverse events posed by an anesthesia they routinely use to manage autistic patient care, but consider that Autism Speaks, probably the best known autism advocacy organization funded a $3.4 million grant to “train dentists on the special sensitivities and strategies needed to care” for autistic kids. On their website, Nitrous Oxide is discussed as a “generally safe anti-anxiety medicine” for an autistic child to receive during a dental appointment. What particularly concerns me is that this piece was written by a Pediatric Dentist and a Director at the University of Colorado School of Dental Medicine. Is it only me who is bothered by the fact that potentially dangerous misinformation is being taught to future providers of dental care—and our dental schools are receiving funding to further propagate this misinformation? Good to know. How often do we simply accept the word of the person in the white coat on what is safe for our children, who frequently have MTHFR polymorphisms, B-12 deficits and mitochondrial dysfunction? How many dentists, or MDs for that matter, are so much as conversant in these areas? From my experience, not many but we assume they have learned all of this in medical school. Although generally regarded as relatively innocuous, research on the use of Nitrous Oxide has shown very real risks in its use, particularly in the pediatric population, those with MTHFR polymorphisms, and children with autism. Selzer (2003) reported the neurologic deterioration and death of a child who was anesthetized twice with Nitrous Oxide and attributed the child's death to the administration of Nitrous coupled with the MTHFR defect. Patients "with even subclinical deficits of vitamin B12 are at increased risk for the development of myeloneuropathy" (Pratel, 2007) and symptoms may not appear until days to weeks after exposure to nitrous oxide (Baum, 2008). 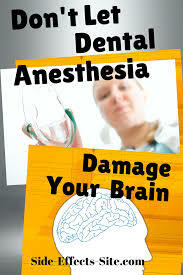 That symptoms may not appear concomitantly with the administration of anesthesia is also an important point. There is a clear bias where medical errors are concerned that if the patient didn’t die on the table, all is well. Any subsequent problems are a mere coincidence. Further, Chen et al (2013) found leukocyte (disease-fighting white blood cells) and DNA damage following administration of Nitrous Oxide. This led to increased probability of wound infection. A quick search yielded a number of research articles positing the potential for Nitrous Oxide to cause elevated homocysteine concentrations that could lead to post-operative cardiovascular problems in clinical studies (Savage, 2014; Nagele, 2008). Although this piece has focused on N2O because of the prevalence of use in dental practices, general anesthetics are also associated with lowered IQs, learning disabilities and behavioral issues (Jevtovic-Todorovic, 2013; Flick, 2011; Loepke, 2008). In fact, Jevtovic-Todorovic (2013) concludes, "Based on presently available evidence, it is becoming clear that regressive behavioral changes in children exposed to general anesthesia are most common in those exposed before the age of 4 years, which coincides with the time period of rapid brain development in humans." The purpose of this piece is not to frighten, but to inform parents of potential anesthesia risks that may be unknown even by their dentist or MD. Because our kids frequently undergo procedures requiring anesthesia, parents of autistic children especially should know their child's MTHFR and B12 status (much easier today with the advent of 23 and Me or Ancestry.com) and should make sure the anesthetist is aware of possible complications so a suitable anesthesia can be chosen. 1) Baum, V. C. (2007). When Nitrous Oxide is No Laughing Matter: Nitrous Oxide and Pediatric Anesthesia. Pediatric Anesthesia; Vol 17: 824-830. 2) Chen, Y., Liu, X., Cheng, H. K. et al (2013). Leukocyte and DNA Damage and Wound Infection after Nitrous Oxide Administration: A Randomized Controlled Trial. Anesthesiology; Vol 8, No. 6: 1322 – 1321. 3) DiMaggio, C., Sun, L. and Guohua, L. (2011). Early Childhood Exposure to Anesthesia and Risk of Developmental and Behavioral Disorders in a Sibling Birth Cohort. Anesthesia and Analgesia; Vol 113, No 5: 1143 – 1151. 4) Flick, R. P., Slavica, K. K., Colligan, R. et al (2011). Cognitive and Behavioral Outcomes after Early Exposure to Anesthesia and Surgery. Pediatrics; Vol 128, No. 5: 1053 – 1061. 5) Hollmen, A., Joupilla, R., Koivisto, M. et al (1978). Neurologic Activity of Infants following Anesthesia for Caesarian Section. Anesthesiology; Vol 48, 350 – 356. 6) Ing, C., DiMaggio, C., Malacova, E., et al (2014). Comparative Analysis of Outcome Measures Used in Examining Neurodevelopmental Effects of Early Childhood Anesthesia Exposure. Anesthesiology; Vol 120: 1319 -1332. 7) Jevtovic-Todorovic, V. (2013). Functional Implications of an Early Exposure to General Anesthesia: Are We Changing the Behavior of Our Children? Molecular Neurobiology; Vol 48: 288 – 293. 8) Loepke, A. W., Soriano, S. (2008). An Assessment of the Effects of General Anesthetics on Developing Brain Structure and Neurocognitive Function. Anesthesia and Analgesia; Vol 106, No. 106: 1681 – 1707. 9) Nagele, P. et al (2008). Influence of Methylenetetrahydrofolate Reductase Polymorphisms on Homocysteine Concentrations after Nitrous Oxide Anesthesia. Anesthesiology; Vol 109: 36 – 43. 10) Praetel, C. (2007). Nitrous Oxide: Neurotoxicity. Complications in Anesthesia, Ch 18: 69 – 71. 11) Savage, S. and Ma, D. (2014). The Neurotoxicity of Nitrous Oxide. Brain Sciences, Vol 4: 73 – 90. What if the child is already on heavy-duty anxiety medications? My dentist asks about interactions with current medications. 4 years and rapid brain development - this is a thought. I was into double figures before I had a general anaesthetic. Thanks for you comment. The point I was trying to make is there are so many things we take for granted as being "safe", or "normal". We don't question them--and we put all our trust in the medical professional working with our children. But often these professionals don't live up to their lofty reputations, earned generally just by getting through medical or dental school. There's an expression/riddle: What do you call the person who graduated last in their class in medical school? Answer: Doctor. Mahalo, Helmut!! I hope to have time to write more pieces soon. You should be sued for misinformation and impostering as a physician with your “opinion.” Awful. I cited published, peer-reviewed medical research. This informed my “opinion”—not sure why you’ve put it in quotes. I’m sure you have “opinions”, too. 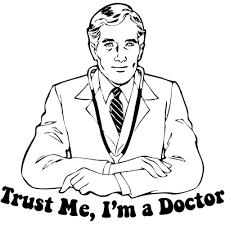 BTW—I have never pretended to be a physician.